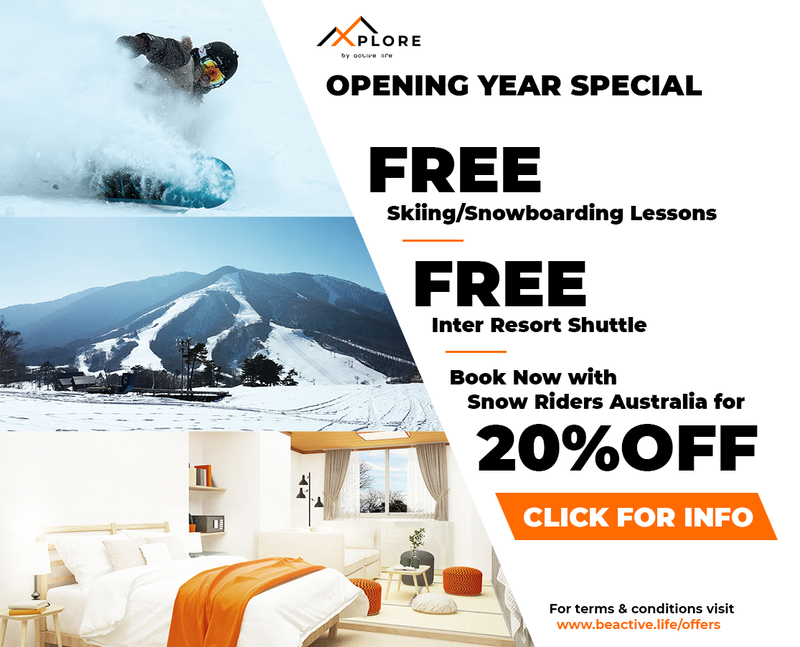 In this article we provide a ‘no holds barred’ account of our experience of the resort, which in some circles has been branded ‘Auseko’ for the number of Australians who visit the resort each year in increasing droves. Our experience was different to that of the naysayers. The snow quality was quintessentially sublime as was the food and overall experience. Lift queues while lengthy on powder days were restricted to one or two lifts early in the day, but dissipated on arrival at the mid-stations and within an hour or so. Similarly, our experience with Australians (and other international visitors) was pleasant and crowds were never a problem given the impossible amount of terrain offered by Niseko and the sheer number of semi and fully-secret spots that continued to deliver the goods day in day out…. Niseko is not Niseko at all. It is in fact NISEKO UNITED, a very large skiing area comprising four ski resorts: Niseko HANAZONO; Niseko Grand Hirafu, Niseko Village and Niseko Annupuri (though for simplicity, we refer to it as Niseko throughout the rest of this article). All are skiiable under the one lift pass and each of the resorts is accessible to one another provided the upper lifts are operating. If not, shuttle buses run between the resorts at regular intervals (40 minutes or so). Access to Niseko is easy. From Melbourne and Sydney, take a flight to Tokyo or Hong Kong, then a linking flight into New Chitose, Sapporo. From Perth, it’s easier still. Take the short flight to Hong Kong and then fly on to Sapporo. Cathay Pacific run regular services out of Perth, and is our airline of choice. We got flights in April 2015 (for a February 2016 departure) for under $1,000. Once in Sapporo, Hokkaido Resort Liner runs regular services into Niseko (and other Hokkaido resorts for that matter). From Sapporo, it generally takes about 2.5 hours to get to Niseko, depending on road and weather conditions. For those who have never been to Japan, the journey from Sapporo to Niseko is both beautiful and mind boggling. Mind boggling because of the sheer volume and rate of snow fall – it really does just ‘chuck’ down. In fact Sapporo is officially the 2nd snowiest major city on earth, receiving 17 feet (5.2 m) annually. Topping that, Niseko receives a whopping 14 m of snow annually thanks to prevailing the ‘trans-Siberian’ winds which blast across the Sea of Japan, sucking up moisture as they do. While colossal amounts of snow fall to sea-level in Hokkaido, the mountains receive more thanks to the ‘orographic effect’ or ‘orographic lift’. Orographic lift occurs when an air mass is forced from a low elevation to a higher elevation as it moves over rising terrain. As the air mass gains altitude it quickly cools down, which raises the relative humidity to 100% and forms clouds which under the right conditions produce snow. It snows so much in Hokkaido that snow management is actually a serious issue. We were struck by the constant din of earth moving trucks, diggers and front end loaders, all employed to move snow and keep the local infrastructure from……well, from disappearing. Every day in Kutchan, for example, local residents and business owners come out at certain times to push and/or drag the snow (using small sleds) into a network of heated underground drains (the drains are flushed with warm water a few times per day). With the amount of snow accumulation, it is perhaps not surprising the region is popular as a white water rafting destination in summer…. As the Niseko area is largely rural, and nothing like any of the big Japanese cities at all, the road between Sapporo and Niseko is interesting for the local architecture, which is dominated by small rural dwellings and indoor farms. The region is famous for its high quality dairy products, potatoes and seafood from it frigid oceans. The local population is obsessed with food and so for the foodies among you prepare to be spoilt by the delicious local food. The Hirafu Village in particular is dotted with small, but high quality restaurants serving fine local cuisine. The sashimi in particular is to die for… One of the highlights of the drive to Niseko is the 15 min toilet / refreshment stop which takes in one of the local markets. The markets are a fantastic introduction to the local cuisine. Everything is on offer from local sweet potato dumplings (served on a stick), beautiful yakitori (BBQ chicken), karagge (fried chicken) and tempura to some of the more obscure local delicacies, pickled seafood and more mushrooms than you’ve seen in your life. The markets really are a joy and a major source of distraction, and are always left wanting more…it’s such a short pit stop. After what can only be described as a slow start to the Niseko season, January and February have really delivered…. Niseko United received 6.5 m of snow in the period between December and March and officially hit 10 m of cumulative snow for the season just the other day. Incidentally, March continues to deliver. At the time of writing, Niseko was enjoying its third successive powder day, with no sign of spring anywhere. In the ten days we were in Niseko (15th to the 24th February) we experienced fresh snow every day, ranging from around 2-3 to a lazy 50+ cm. However official snow falls in Niseko are deceptive. In fact, Niseko is one of the few places we are aware of that consistently underestimates the accumulated snow fall…and by a large margin. For example, often 5 to 10 cm at the base can mean anywhere from 15 to 40 at the mid-station and above, and more in the wind blown pockets; this was certainly our experience in February. The great thing about Niseko – speaking absolutely sincerely – is that it is so big, and there are so many ‘secret’ or ‘semi-secret’ stashes that one can always find untouched fresh, and generally have it all (well mostly) to yourself. 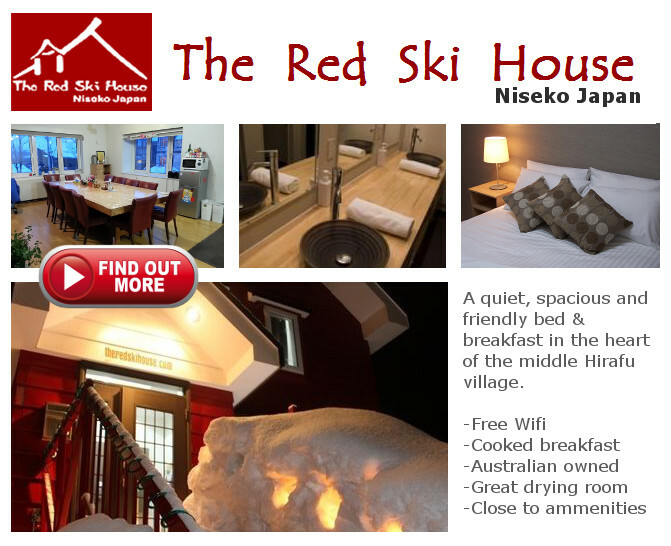 This debunks the claims of the naysayers who claim Niseko is not what is used to be and is now overrun. While we experienced lengthy queues on at least two of the days, the queues were limited to the base station gondolas and cleared quickly (10 mins max). The even better news was the fact that the queues at the mid-station were nothing like those at the bottom, and amazingly, the people appeared to vanish once they alighted from the gondola; again, in evidence of the size of the resort and the near endless amount of terrain (most of which is clearly still secret – because we had no idea where any of those people went). Lengthy queues were not a problem in our book, and even when we did experience them (which was rare and typically on first thing on a powder day), the sweet turns and epic conditions at the top more than made up for it. We had grins from ear to ear and are already planning our next trip. For the more adventurous skiiers and boarders among you, Niseko United manages a very large area of semi-backcountry skiing just beyond the resort boundaries. The terrain is highly accessible and generally doesn’t require any hiking; though hiking can certainly add to the experience, especially on a clear day when it is possible to hike the summit. This is not to be taken lightly however, and is only recommended for experience skiers and boarders, especially those equipped with the appropriate safety gear. The backcountry areas are accessible through a series of gates, which are carefully managed by Niseko’s ski patrol. While in Niseko this year, we were lucky enough to ski through Gate 5 (Hanazono), Gate G (strawberry fields), Gates 7 and 8 (Annupuri) and Gate 11 (Niseko Village). The Gates made for sublime skiing, especially the lower sections of Gate G and Gate 7 and the upper sections of Gate 5 which at the time were perfectly suited to our abilities, which are modest by the standards of many of Niseko regulars. Gate 5 for me was particularly unforgettable. After yet another 20+ cm dump overnight, we caught Hanazono 3 and hiked the very short distance to Gate 5. From there we traversed across about 200 m before turning hard right along a ridge line. We continued along the ridge until we came to the most delectable line of about 100 m to the bottom of a gully. We made the call to continue and possibly deal with the hike out from the bottom, and we are so glad we did. The turns, which were knee to waste deep, were some of the sweetest of our lives and the kind that just work and make you feel like a ski instructor on his/her day off (bounce, turn, bounce, turn)…Needless to say we need no more convincing of the quality of Niseko’s snow, which for this author have been nothing short of epic two years running. Apart from the snow, one of the irresistible charms of Niseko is the village. Walking around the village at night is really like visiting a fairly land. From the views up the main street to the beautifully lit slopes of lower to middle Grand Hirafu, and the quaint little Japanese restaurants to the always colourful and somewhat eccentric food vans, the night time environmental really is something to behold. Something about it just makes you feel at home, or gives you that ‘de-ja vu’ feeling that you must have lived there in a past life. The restaurants in the village are both numerous and very high quality. We sampled a new restaurant every night and enjoyed amazing food and friendly service everywhere we went. Speaking a little Japanese goes along way, even its just a few phrases: sumimasen (‘sue-me marsen’) (excuse me) and arigatou gozaimasu (‘ari-garto kaz-eyemuuss’) (thank you very much). The village is also well set up for foreign visitors with ATMs and min-marts in central locations. Seicomart is certainly an experience in peak season with people literally spilling out the door. It’s worth it though for the $AUD5 bottles of Chilean red wine. Cheap and delicious. One of the other great things about Niseko, and a must do if you go there, is the nearby local town of Kutchan. Kutchan is about a 15-20 min bus ride from Niseko and a really good education about what it’s like living, working and just trying to operate in a town that receives well over 10 m of snow annually….it’s tough. The architecture while stark is infinitely practical….everything revolves around snow management. There are many restaurants, fast food outlets and a few cafes in the town and even a few really large sport shops, which for the ski junkies among you are a real joy – endless ski gear and shelves and shelves of ski boots, wax, poles, tuning equipment and everything else skiing relayed. They’re also a great place to buy unusual stickers for your snowboard or helmet if you’re in to that sort of thing. Niseko United is well worth a visit. We found the size of the resort and the skiiable terrain endless, especially given the Niseko gates system and the sheer volume of off-piste skiing available to the experienced rider. Because of this crowds were never a persistent problem and we experienced fresh (and often deep) tracks on nine of the ten days we were there. Despite comments to the contrary, we found most of the Australian and other international visitors to Niseko were generally polite and culturally sensitive. In fact, on one night we were overwhelmed by the spirit and good humor of a group of Aussies who formed a ‘human chain’ outside a well known bar, to assist passers by getting up a treacherous icy slope! We also loved the onsens, the local restaurants and the local people. The lift ticketing system and the inter-connectivity between the resorts is a dream as is the snow…and we emphasise, the SNOW. The snow really is what Niseko United is all about. No where else will you find consistently light dry powder in the volumes that Niseko receives. Sure, other places get dry powder, but not 14 meters annually. Niseko is also upgrading its infrastructure to include several new lifts. This will add to its already formidable lifted capacity of 37,500 riders per hour! There are even plans to link the Hanazono resort with the slopes of Niseko Weiss, which is presently only accessible via CAT skiing. We wish to thank Niseko United, The Red Ski House and Niseko Academy Powder Detours all of which generously provided anecdotes and experiences which allowed us to experience Niseko and write this article. Check out their websites. Arigatou gozaimasu. Previous PostReview: Tignes – FranceNext PostSnowmaking: can it save us from climate change? Likewise. Done four trips there (family / mates / solo) and have never seen bogan behaviour. Heard about it. Never seen it. I would add that on-mountain eating is excellent as the hotels run their own kitchens up the hill. Niseko isn’t a big area really, but snowfall makes every run a freshie by the time you get back up on the lift. Visibility isn’t great sometimes and the peak gets shut regularly. Bummer that Qantas killed their Perth-Tokyo flights. Cathay is OK but too many long connections thru HK. There’s a new bullet train service to Hokkaido too.